We track millions of social media posts and use machine learning to determine sentiment for hundreds of cryptocurrencies in real-time. With Bitcoin and Ethereum as the largest cryptocurrencies it is interesting to track relative trends about them in social media. 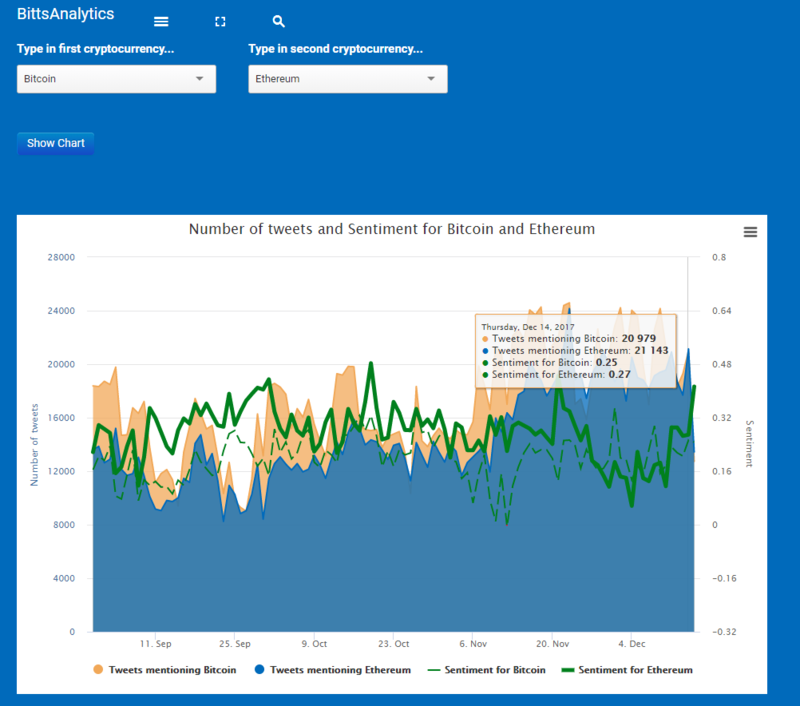 Below you can find the chart showing sentiment and number of tweets with mentions of Bitcoin or Ethereum. We find it fascinating that Ethereum has not only closed the gap to Bitcoin in terms of number of tweets and also took a lead in sentiment a couple of days ago. This should be a bullish signal for Ethereum. If you want to track comparisons like that, set up tracking portfolios, get real-time sentiment trading signals, ICO analytics and much more subscribe at www.bittsanalytics.com.